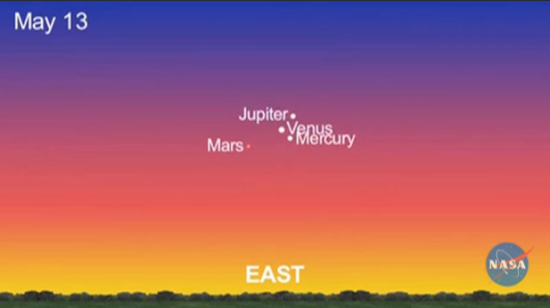 During May, Venus, Mercury, Jupiter and Mars will dance with each other, clearly visible (for some) in the morning skies. This Friday May 13 they will form a tight triangle with Mars blinking dimly to the lower left as the image shows. Venus, Mercury, and Jupiter are in Aries while Mars is in Taurus. Later this month, Venus and Mercury move into Taurus then at month’s end the Moon joins in the party. This is a rare global event and, while observatories will be open, most are probably already booked out. Aries is a fire sign and ruled by Mars, planet of action. Aries seeks excitement through risk-taking and prefers to act alone or lead the pack. Mercury and Jupiter are able to cope with it but Venus is not. She rules docile, slow moving, cud-chewing Taurus and the aesthetically refined diplomatic Libra. There is nothing Arian about Venus. So place her in an antagonistic sign and she will misbehave. Her normal gracious and congenial manner can spill over into very unattractive and over-assertive behaviour. But note that Mars rules Aries and he is in his own sign so the Aries energy will (mostly) behave well. 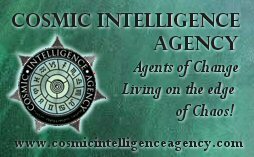 The recent unrest in the World is very Arian and it all began when Jupiter ingressed into Aries in late January (Egyptian uprising). Then further eruptions occurred when Uranus moved into Aries 2 months ago (the earthquake and Tsunami in Japan). Aries is ruled by Mars and Mars was in Aries until today. We have ‘enjoyed’ a stellium (cluster) of planets in Aries since early April. And they have all been opposed by Saturn in Libra. The authorities (Saturn) in the Middle East region have put on their ‘nice’ faces (Libra) but all the while they’ve been very manipulative and aggressive (Aries) towards their own people. They think the world is unaware but modern technology has enabled the struggle to be published globally through the internet. Aries is a ‘me-first’ impetus and while it shows initiative it is also competitive and can turn aggressive when challenged. The revolutionaries and rebels have stood up to the authorities despite the bloodshed, violence and propaganda unleashed upon them. May 16, Mercury and Venus will leave Jupiter’s side and join Mars in Taurus. So the revolutionaries and rebels will dig their heels in and become more determined than ever. The irresistible force (government) will meet the immovable object (people) and, just as there are several planets working together, there is safety in numbers for the people if they truly pull together. Note that this is the season of comfort food, sensual pleasures, and hard work – slow and steady wins the race. Taurus might be docile, but wave a red flag at a bull and suddenly you have a solid angry entity charging towards you. Never underestimate the old adage – slow and steady wins the race. At the end of the month on May 30 the New Moon in Taurus joins the chorus forming a congenial line-up in the early morning skies. A sight to behold, and a very rare one at that. So set the alarm and rug up – it will be a once-in-a-lifetime experience.